I have a slight obsession with a local apple orchard. I can’t help it. All you can pick and eat apples? Um, yes please. Plus, the atmosphere is so comfy and inviting. I took the girls there last week for a photo shoot. 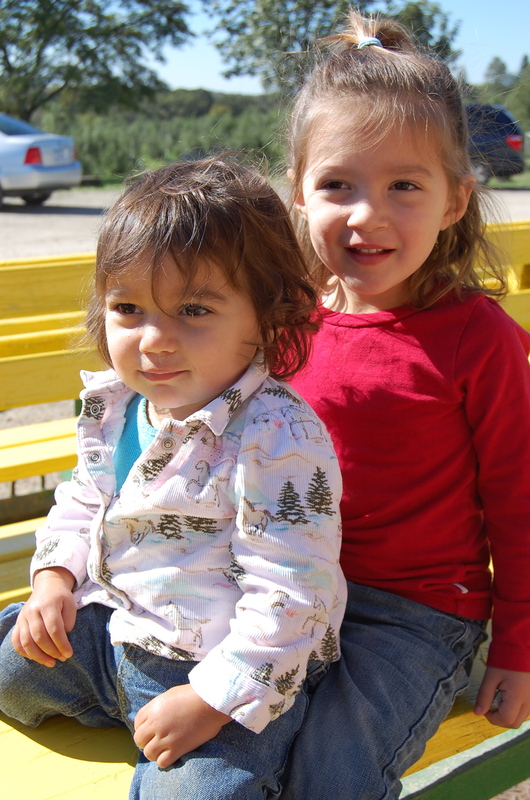 Not sure why I ever thought two toddlers would sit through pictures, but I tried it none the less. And then about half way through I broke our camera. A-W-E-S-O-M-E. Thankfully, Leah was there and used her camera for me. 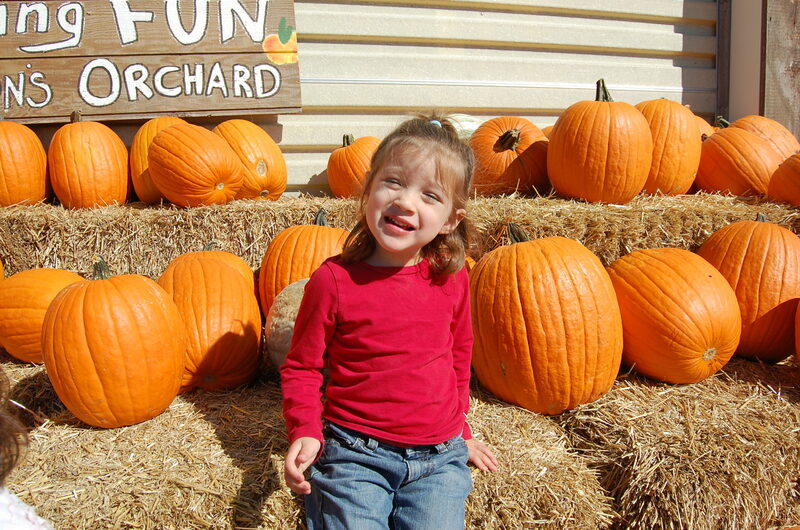 5 Responses to "Pumpkin Patch Kids"
So cute. 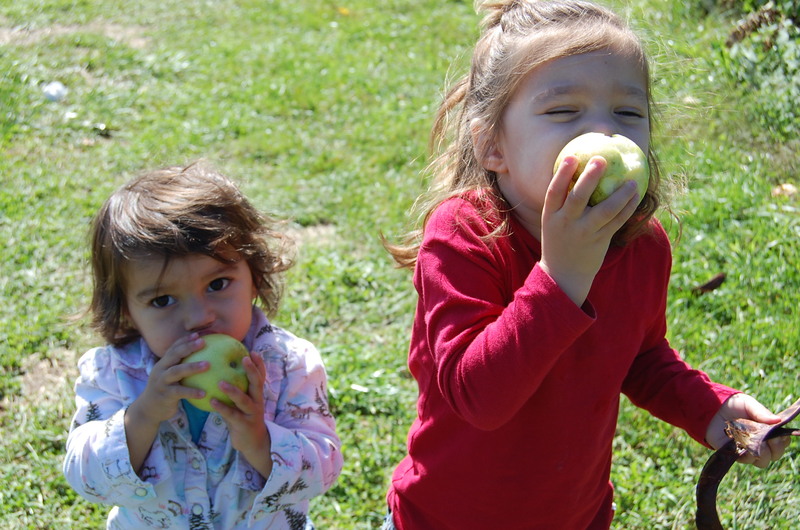 And oh my goodness, I wish there was an apple orchard near-by me!!! I can see why you’d love it, sounds very fun! 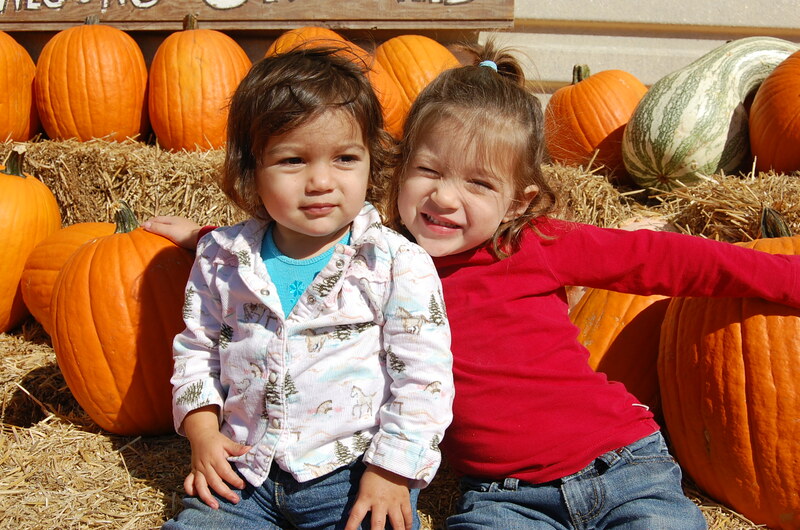 The girls are adorable, glad Leah had a camera to finish off the photo shoot. Yea Fall!